Phi Phi is all about diving and Phi Phi Diving Resorts dominate the beachfront of Phi Phi Don. The Phi Phi archipelago are a series of 4 main islands and 3 off lying rock islands and these are surrounded by warm tropical water, full of sea life and with over 25 km of coral reef. Nowhere on the west coast of Thailand are so many Phi Phi Diving Resorts so close to the diving. All Phi Phi Diving Resorts are on Phi Phi Don the main island that has a good pier (including a tailor made diver's section, and the main island village. Typically the island is dominated by mountain so that all the resorts hug the beachfront. Most of the Phi Phi Diving Resorts in the Phi Phi Don Village use the main pier but the resorts on Long beach, Loh Bagao and Laem Tong take their dive boat from the beach in front of the resorts. The luxury Phi Phi Diving Resorts are away from the village, up on the easy coast at the 5 star Zeavola Phi Phi Resort, and the 4 stars Holiday Inn Phi Phi Island and Phi Phi Island Village Resort And Spa. 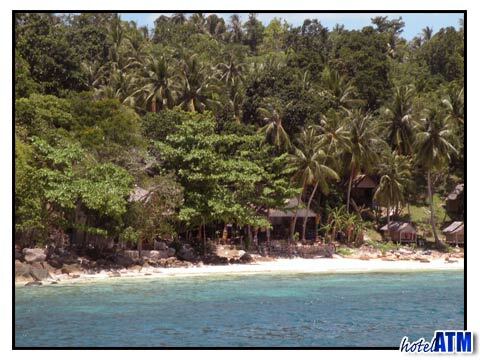 The Zeavola Phi Phi Resort runs out of the Zann Zanook activity centre down on the beachfront. Personal dive tours can be arranged to some of the best Phi Phi Dive sites or take in the more obscure and out of the way sites that can be real adventure. The Holiday Inn Phi Phi Island and Phi Phi Island Village Resort And Spa have their own private dive schools that take parties out to the main reefs off Phi Phi Ley and Bida Nai and maybe out to King Cruiser Wreck. Diving here is relaxed and subject to tide and conditions can start at an easy time of the morning or afternoon. These dive resorts can lead you through the PADI qualifications if you are new to the sport and both of them work out of their pools for the confined water. The dive schools are intimate, numbers small and diving sheer pleasure. In the main village, Phi Phi Island Cabana Hotel, Andaman Beach Resort, Phi Phi View Point Resort offer that immediate resort diving experience. The Blue View Divers working out of Phi Phi View Point works with the traditional longtail boat adding to the adventure and ensuring smaller numbers of the dive experience. Harlequin divers at Andaman Beach Resort work with the tides and wait till their dive boat is afloat before going to the reefs ensuring the at it is always the higher tide during their trips. 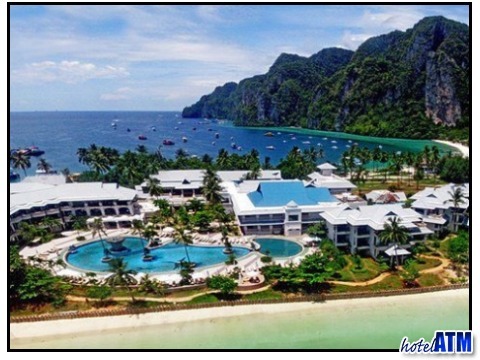 Deals for the Phi Phi Diving Resorts can be found at this Phi Phi Resort Deal and Discount page. Here the resort deals are laid out by month and depending on the season you can hope to find Free Night Specials, Fixed Night Promotions, Early Bird Deals, Honeymoon Packages, Long Stay Deals. These deals will change as they come in so it might be worth coming back to the page as you get nearer the time you need to book.